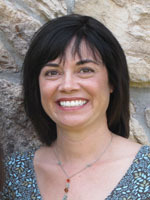 Liz Hollingworth is a professor in the College of Education at the University of Iowa. Her research and teaching interests are centered on curriculum, leadership, and assessment. In particular, her work explores how federal school reform policies affect classroom practice. Her other books include Organization and Administration of Iowa Public and Private Schools and Complicated Conversations: Race and Ideology in an Elementary Classroom. Dr. Hollingworth grew up in San Diego, taught in Chicago and Michigan, and now lives in Iowa City with her husband, Andrew, and teenaged daughter, Emily.